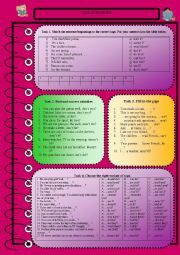 These worksheet can be used to train or to check tag questions. 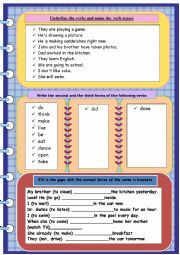 A template by Ana Isabel was used by me to complete this worksheet. Hope you find it useful for your work. 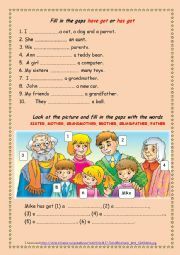 It may be used to train verbs tenses and as a short test. I hope it will be useful. 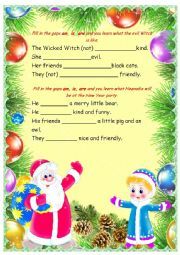 It is an easy worksheet for young learners. 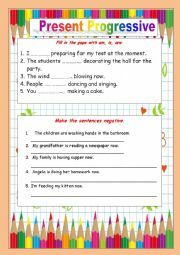 I use this worksheet to see how well my young students know the words. 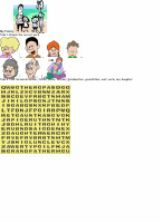 I�m sure it can be used to train the words. I used the template of manal. 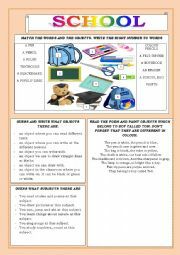 this worksheets helps young students to train words about objects in their classrooms. Hope your students will like it. You can use it to train or to check Present Progressive. I hope it will be useful for your lessons. 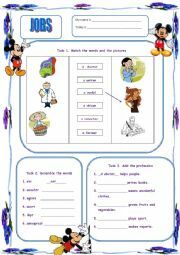 This worksheet can be used to train or to test HAVE GOT, HAS GOT for beginners. Hope you like it and it will be useful. 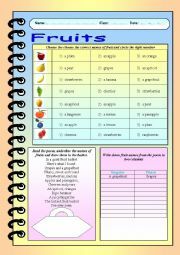 My young students need a lot of practice of the same words that�s why I try to create worksheets with a series of mini-tasks. 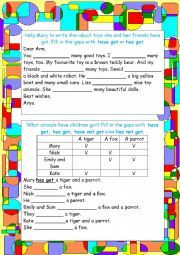 This is one of these worksheets. I have used the template of Philip Roeland to make it. You can use it to train some word-expressions and to make a story about spare time. I use it to train numbers from 1 to 10. In winter it is snowy in Russia. One day many little snowflakes have visited my young students . The students were glad and made the tasks with pleasure. 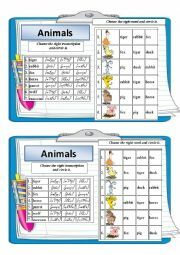 I hope your students will like these tasks too. This game can be used to train the spelling of the words and their meaning. 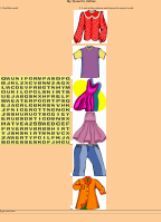 This exercise can be used for training the words "Clothes"
The exercise is very easy and can be used for children to train the words about family members.